This old Country gaslight is really something! The variable tubing widths really adds detail as do the authentic gas keys. Try a six arm oval version for over your formal dining room table. Great for that smaller dining room table or dinette. Mission style square glass shades. 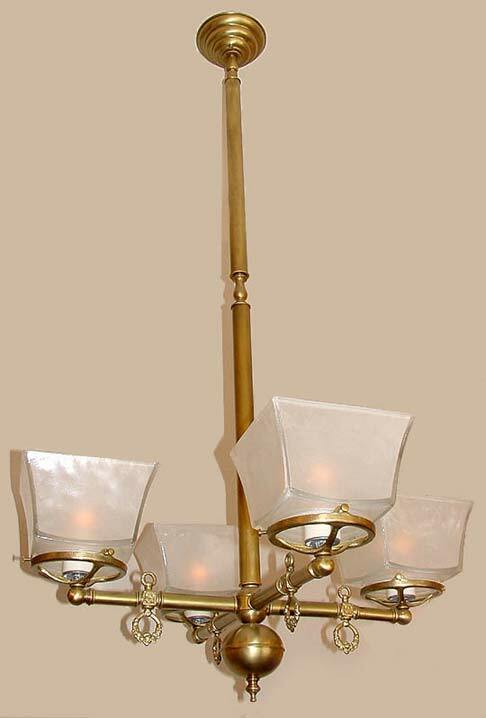 Perhaps one sized tubing for the arms better suits your tastes for this gas light reproduction or another glass shade.